Nicholas Harding: Drawn to Paint is an exhibition that spans twenty five years of Harding’s artistic practice, from 1984 to 2009. Harding documents a distinctly Australian sense of place, from its sun drenched beaches and industrial settings to its spectacular flora. 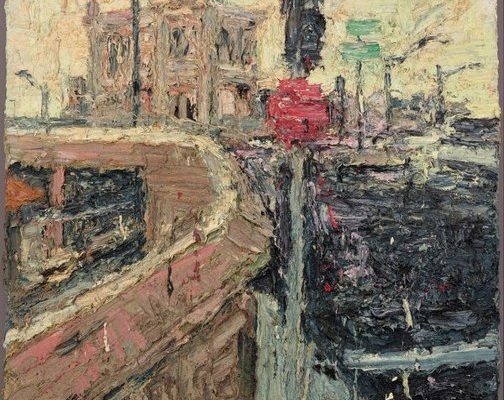 This survey portrays the artists’ life in Sydney, from the streets around his home and studio in, to beach life in the coastal Yuraygir region of NSW. 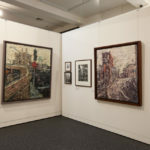 The exhibition includes urban works of Erskineville, Central Station, Eddy Avenue, and coastal scenes from his beloved Wooli, featuring caravan parks and landscapes. Along with his evolving landscape series, Harding’s portraits of the people in his life, Sydney interiors and still life, speak of the artist’s lusciously viscous painting style. Nicholas Harding is well known for his paint application, creating shapes and forms with abundantly drawn paint. Equally important are the artist’s ink drawings where he draws, erases and gouges into the paper, taking away and putting back in a constant process. Both techniques create richly tactile surfaces that contribute to the development and vitality of his work. Drawn to Paint also features for the first time, working drawings and sketches that reveal Harding’s process of creating images – as both a critical gathering of observations that inform his paintings, as well as equally important artworks. Nicholas Harding: Drawn to paint is an S.H. 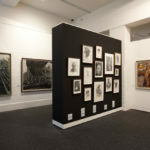 Ervin Gallery exhibition, curated by Steven Alderton. 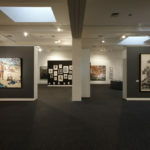 The exhibition is presented with the generous assistance of Rex Irwin Art Dealer and Philip Bacon Galleries.